At bottom, why all this false science? Because someone needed a cover story to conceal a persistent and intentionally unsolved situation in Africa that was causing death according to a plan to depopulate the continent. A COVER STORY TO CONCEAL THE PLAN: HIV. MEDICAL DUPES TO PROVIDE THE COVER STORY: GALLO, MONTAGNIER, SERWADDA, AND OTHERS. AN INTERNATIONAL HEALTH AGENCY THAT WOULD DO EVERYTHING EXCEPT HELP SOLVE THE REAL AND CONTINUING CAUSES OF DEATH IN AFRICA: THE WORLD HEALTH ORGANIZATION. "Kary Mullis, Nobel laureate in chemistry 1993 and inventor of the polymerase chain reaction, needed a reference for "the generally known fact" that HIV was the cause of AIDS. While working on a project he became aware that he didn´t know a scientific reference for the statement he had just written down: HIV is the probable cause of AIDS. So he asked the next virologist at the table after that basic paper. The virologist told Mullis, he wouldn´t need a reference in this case; after all, everyone knows that HIV leads to AIDS. Kary Mullis disagreed and thought such an important discovery should be published in some paper. He learnt soon that it was impossible to find such a paper. Instead, he was pointed to the press conference of 1983 over and over again. One day, he got the opportunity to talk to Luc Montagnier from the Pasteur Institute, the [claimed] discoverer of the virus, during an event in San Diego. HE should know the answer. Confronted with Mullis´question, Montagnier said: "Why don´t you cite the report of the CDC (Centers of Disease Control)?" 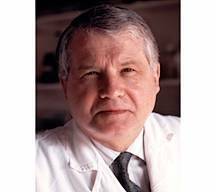 Mullis answered: "This report doesn´t address the question whether or not HIV is the cause of AIDS" - "Right", Montagnier admitted, "but maybe you could cite the SIV study (Simian Immunedeficiency Virus, which is very similar to HIV)." That paper didn´t convince Mullis either, because the monkeys developed different diseases, also because the virus wasn´t the same one, and thirdly, because the paper had been published only a few months before. He looked for the original paper that should demonstrate in whatever form that HIV was the cause of AIDS. At that point, Montagnier´s answer consisted of running away, to greet a group on the other side of the room.